Happy Friday, everybody! There are a more than a few solid second-hand sales happening around town this weekend, so I figured I’d put together a quick round-up for you. 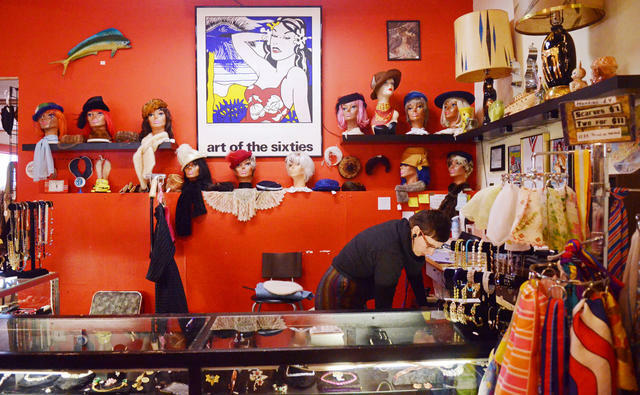 ♥ Blacklist Vintage Liquidation Sale: Boy am I bummed Blacklist Vintage is closing. The only silver lining of the shop’s closing I can see has to be the liquidation sale, which kicks off tomorrow at noon. The event, advertised as stretching for weeks, will feature progressive discounts, $5 bins for digging and loads of treasures. ♥ Dress for Success Clothing Sale: Fans of deals and shopping for a cause should make time to visit Dress for Success’ annual fundraiser. Open to the public tomorrow only, this sale boasts big-name brands (Calvin Klein, Chanel, Dolce & Gabbana, Michael Kors, etc.) with all proceeds going to Dress for Success’ very worthy work. ♥ Winter Clothing Sale at Hope Chest: Today through Sunday, all winter clothing is 50% off, including sweaters, jeans, boots, tops, coats, furs, scarves and hats. There’s still a lot of winter left, so if you need a little mid-season pick-me-up, why not pay less for it? This entry was posted in Uncategorized and tagged Blacklist Vintage, dress for success, heads up, Hope Chest for Breast Cancer, minneapolis, sales, thrift-store sales, thrifting by highplainsthrifter. Bookmark the permalink.